Since 1899, Miele has been dedicated to creating extraordinary products that live up to our mantra, “Immer Besser” - a German phrase meaning “Forever Better”. With ForeverCare, we’ve applied this same philosophy to our customer care practices. But ForeverCare is more than just a concept – it’s a guarantee. A guarantee that our commitment to you will extend far beyond the point of purchase. Rather, we’ll provide unparalleled service throughout the very long life of your machine. From payment, to delivery, to installation, to service we’ll make sure your needs are always well taken care of. We keep our records current with your exact models and service plans, as well as your preferences for contact information. And at our large, dedicated Customer Care Centre located at our headquarters in Vaughan, Ontario our expert staff is ready to handle your needs. We believe all our customers deserve this type of personal care – a new standard of service unmatched in the industry. Why no other care can compare. If you ever have a problem with your Miele machine, it’s our own Miele Factory Service Technicians who take care of it. 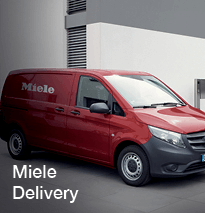 Most problems can be solved on the first visit, as we know the exact model you have and carry the genuine Miele parts you will need. We want you to enjoy a long and trouble-free experience with our machines. In addition to the standard warranty, we have Miele Extended Warranties. This direct offer from Miele allows you to increase your hassle-free coverage up to ten years. The extended warranty relationship remains directly with Miele, so you can deal with us if you have any issues. We want your machine to work perfectly from the first time you use it. 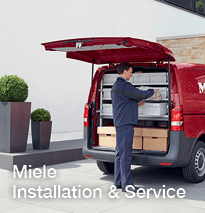 So we offer Miele Certified Installation in your home ourselves, with our fully Miele Certified Installation Team. 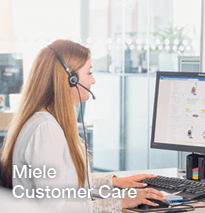 Installation can be organized through the Miele Customer Care Centre, and when you choose Miele Certified Installation you will receive an additional year (total 2 Yr) manufacturer’s warranty on the appliance and the installation. We offer delivery to your home ourselves. We want to be with you every step of the way, and your delivery is tracked with GPS so we can provide you with a nearly exact time of delivery. To ensure you make the most of your Miele appliance, we’ve created a range of everyday and specialty products available for purchase. From laundry detergent, to dishwasher tablets, to a variety of cooking accessories, these products are designed specifically for your appliance, ensuring better results and a longer, hassle-free, lifespan. 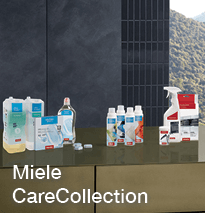 Explore the three unique ways you can extend the benefits of Miele ForeverCare. Click on each benefit to learn more.